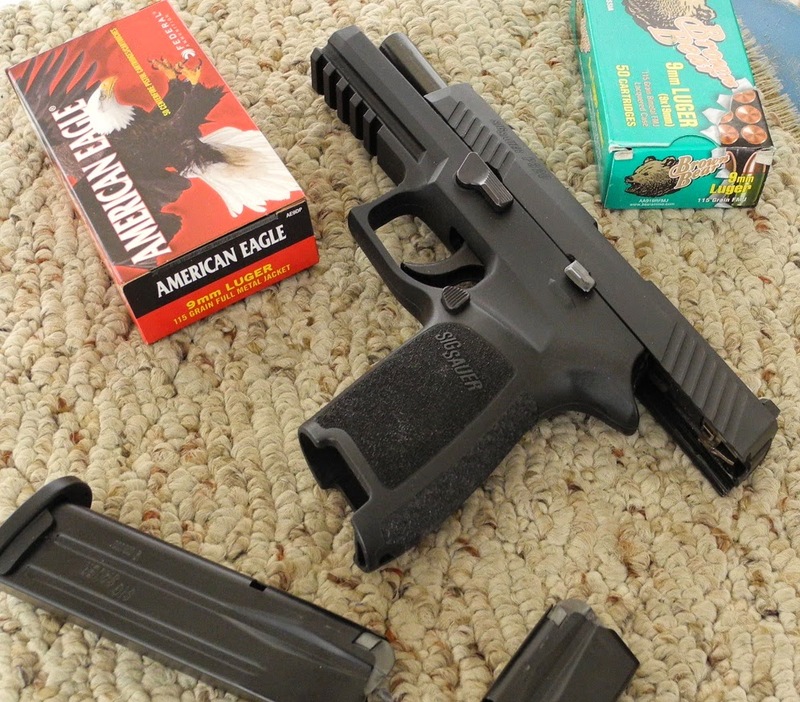 Fifty rounds of American Eagle 115gr FMJ plus fifty rounds of Brown Bear 115gr FMJ plus ten rounds of Sellier & Bellot 140gr FMJ plus five rounds of Black Hills 115gr JHP (I had a couple partial boxes in the ammo can) equals 115 rounds through the Sig Sauer P320 today. No malfunctions to report. That's a total of 620 since I took it out of the box. 1380 to go before it gets cleaned and lubed. Hopefully the weather is nice tomorrow so I can go outside and take some pics of the Glock 19 before and after scrubbing. I don't want to put that thing in a light box in the shape it's in.